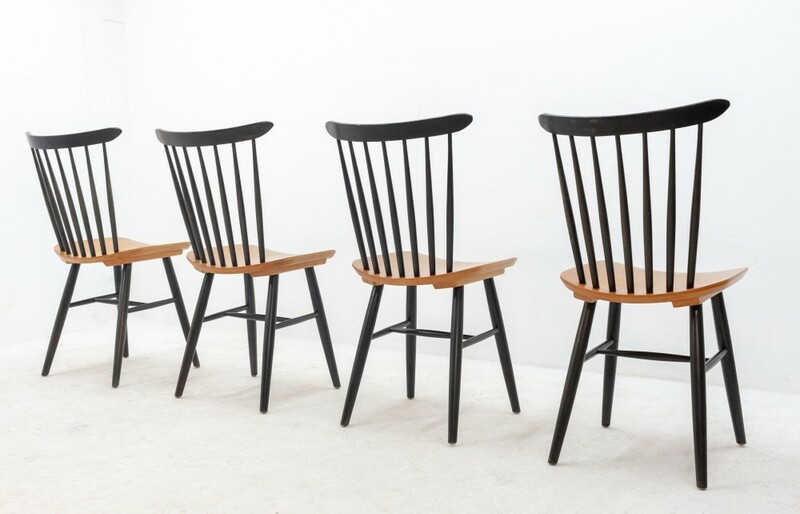 Set of four beautiful chairs. 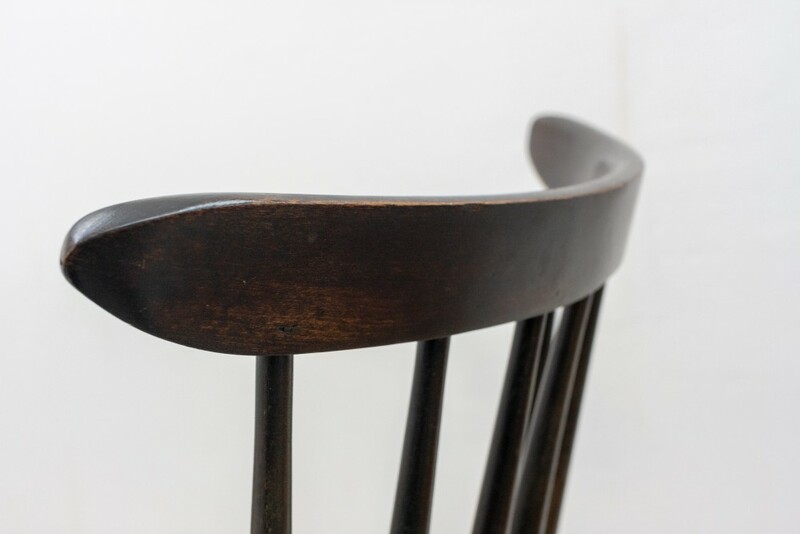 Spindle back with a teak ply seat, circa 1950s. 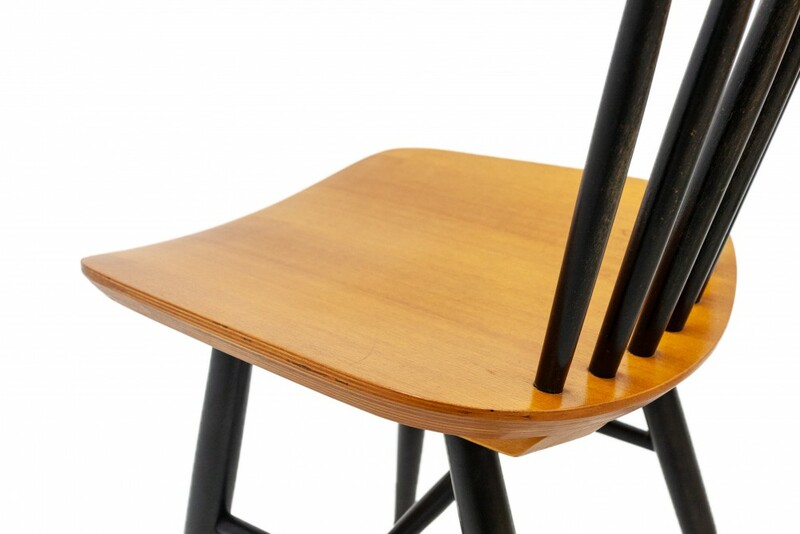 There were several companies producing this type of chair: Edsby Verken, Pastoe and Nesto and we have been unable to pin these examples down. 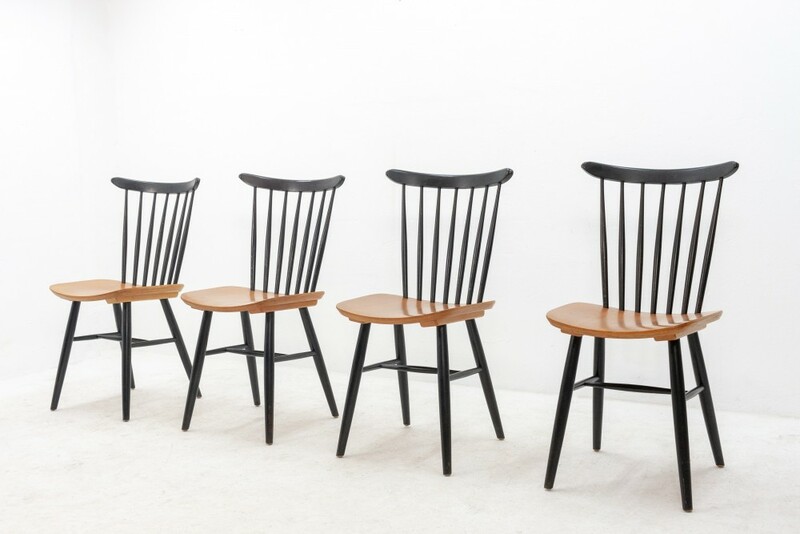 Despite this these chairs are supreme in their style and design and in very good original condition.The price is for the four chairs.